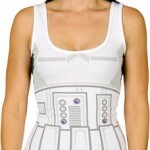 When women wear something geeky, it always gets my attention. Whether it is something as subtle as Death Star Earrings or something a little more obvious like the shirt where DJ Leia uses R2-D2 as a turntable, I love women who aren’t afraid to let their geeky side show. 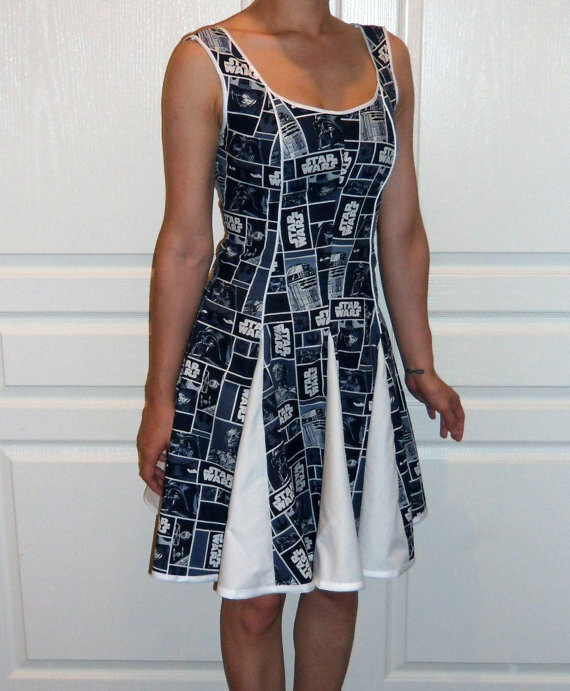 Well, for the women out there looking to make their love for Star Wars really obvious, I have found an awesome Star Wars full skirt dress you will like! 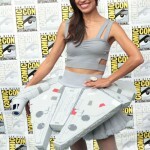 Etsy seller restitchretro is selling this awesome Star Wars full skirt dress for just $95. 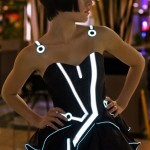 The dress is made to order so you should be able to have one made for you no matter what your size. If you do order one, make sure to send us pictures of you wearing it! Share this with any Star Wars fans you know! Make sure to share this with all of your social networking friends too with the buttons below!